Grandma Had A Gibbon. Her Grandson Had An Empire A Chinese tomb has turned up evidence of a new species of long-extinct ape. The gibbon, called Junzi imperialis, lived and died alongside its imperial human caretaker. The northern white-cheeked gibbon is a critically endangered ape native to China, Vietnam and Laos. Scientists have discovered a new species of gibbon, now extinct, that lived in China as recently as 2,200 years ago. "Having gibbons as pets appears to have been common among Chinese royals during ancient times," explains one of the study's authors, Alejandra Ortiz of the Zoological Society of London and New York University. Gibbons, along with other animals such as rhinoceroses, panthers, pandas and bears, were seen as elegant status symbols. In the case of J. imperialis, the status-seeking royal in question may have been a woman known as Lady Xia. Her grandson, Qin Shi Huang, famously united the independent states of what is now central China, becoming the country's first emperor in 221 B.C. When Qin died, he ordered that his mausoleum be guarded by the famous terra cotta warriors, which were discovered in the 1970s and offered a window into China's imperial history. Then, in 2004, archaeologists from Shaanxi Provincial Institute of Archaeology in Xi'an discovered another mausoleum a few miles away. This one wasn't guarded by clay soldiers; it was full of animal bones from a personal menagerie, including panther, lynx, black bear, crane and the partial skull of a gibbon. A few years later, the gibbon skull caught the eye of Samuel Turvey, a visiting archaeologist from London. 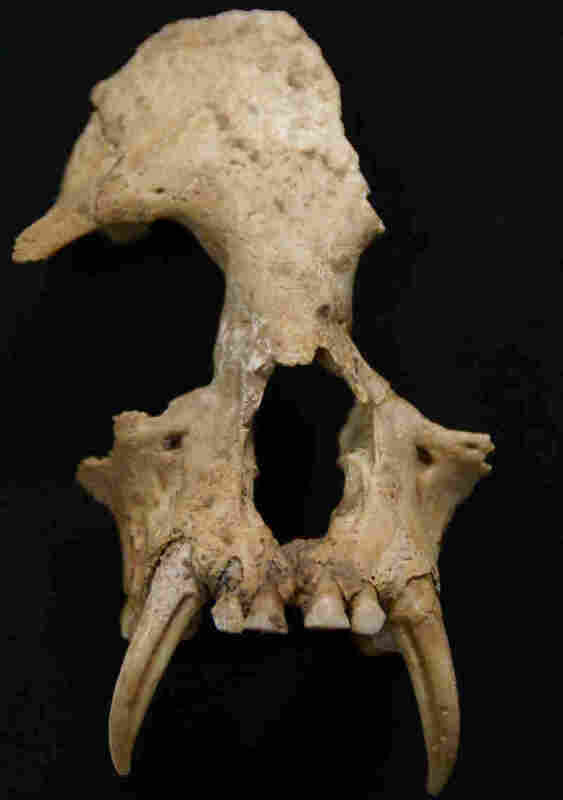 The tomb was "a huge distance from any of China's surviving gibbon populations," Turvey says, "which immediately suggested that this specimen could be something extremely interesting." The gibbons that live in China today are concentrated in forests hundreds of miles south of where the skull bone was found. When Turvey and his team examined the skull closely, they concluded it is a previously unknown genus and species of ape that went extinct within the past 2,200 years. Their findings were published in the journal Science. And, they conclude, humans were probably to blame for its extinction. During the period when J. imperialis lived, the climate was very stable. No other vertebrate is believed to have gone extinct during that time as a result of big, climate-related changes in habitat. Although "natural" extinction can't be completely ruled out, the researchers think the main threat to gibbons was probably the large numbers of humans cutting down forests to make way for the growing Chinese empire. So as an empire was born, the gibbons died. 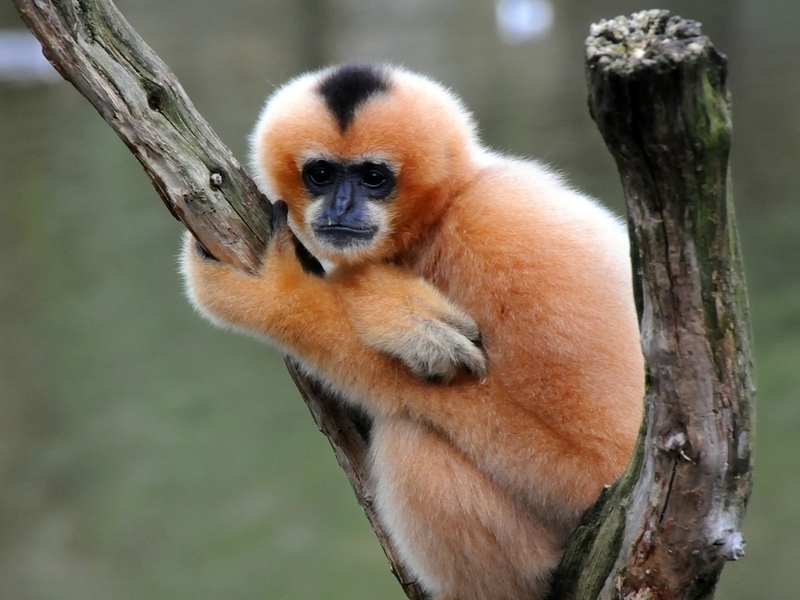 Gibbons are very sensitive to deforestation because they live in the tree canopy. Today, the surviving gibbon species are the most endangered of all apes, according to the World Wildlife Fund for Nature. Previous work by Turvey found gibbons lived across central, southern and eastern China before 1600, but their range started to contract, and by 1900, the animals were gone from more than half of the areas where gibbons once lived. Discovering a new, much older example of early gibbon extinction was bittersweet, Ortiz says. On the one hand, gibbons and other apes are our closest living relatives, and "we feel that the discovery of Junzi imperialis is extremely important because it helps us to fill gaps in the understanding of gibbon diversity." But, gibbon — er, given — the long history of human-driven extinction, the new information is also worrying. "[The] discovery is sad, because it reinforces the idea that humans represent a major threat for the survival of species of gibbons and other apes," Ortiz says. "And our findings suggest that we have been a threat for quite a while."